Edgar Khachatryan comes from Vanadzor in Armenia. 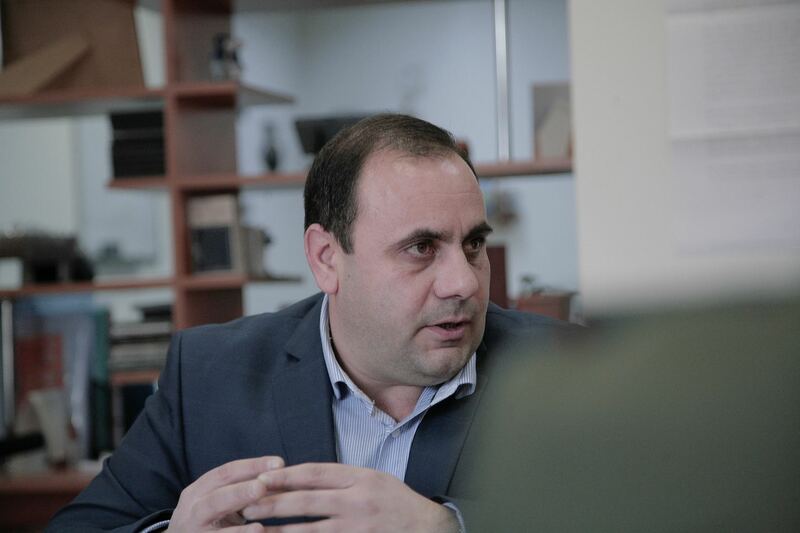 He has a degree in educational theory and is co-founder and director of the Peace Dialogue NGO based in Vanadzor. Peace Dialogue brings together peace activists from Armenia, Georgia, Russia, the Netherlands and Germany under one roof. For more than five years they have been working together to promote a peace movement and a culture of peace in Armenia and the South Caucasus region. Apathy, fear and lack of skill in critical thinking and democratic involvement are the hallmarks of civil society in the Caucasus region after years of armed conflict. One of the priorities of the peace-building work is the ARENA project. Here, peace activists from different countries in the Caucasus are supported by theatre groups in their efforts to come up with their own strategies and effective approaches. The parties involved are working together to analyse their practical experiences for strengths and weaknesses and to develop new strategies and scope for action. For instance, the role of the citizenry in solutions to promote peace is being strengthened. The idea is to build up a cross-border network of like-minded people over time. One of the aims of the “Omnibus 1325 International Peacebuilding Network”, of which Khachatryan has been a member since 2009, is to inspire more women to get involved in conflict resolution and long-term peace-building in their communities. He is working with other members to transform gender roles and to contribute actively to peace education. The members also advise victims of violence and support the local initiatives of peace activists. Edgar Khachatryan is known as a strategic thinker and a profound analyst. He believes in particular that a “good activist” must be able to understand and assess the context in which he is working in terms of its essential structure. What always exercises him in this respect is this question: “How do I mobilise people for my cause?” He imparts his expertise in this central issue of activism in his master class “mobilising people” at the Activist Academy, a tool of the initiative “The Activist Hive” which brings together and empowers activists from across the world both online and offline. One of his current initiatives is „Safe Soldiers for Save Armenia“ and aimed at improving the human rights conditions in the Armenian military. In general, it is an advocacy project including several campaigns on raising awareness among young conscripts about their rights, enforcing transparency among military officials, etc. Human rights and democracy building are one of the major components of their work in the region. In his projects, Khachatryan is supported and advised by zivik.